Can you believe we are in gearing up towards the end of November already? 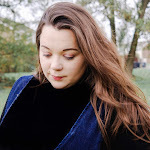 I'm way too excited for Christmas, there's lots of planning and organising to be done before the big day which means that I have to start thinking about what I will be getting my husband for Christmas. But every year, every blooming year, I find myself in the same situation. What do I get him? My husband is so hard to buy for, he never gives me any clues. Is it just me, or does the shopping get harder each year? Whether it's my husband or brother I always find myself struggling to find gifts. I don't really want to get them just anything, last year my husband received 10 boxes of Nivea! TEN! I actually want his face to light up on Christmas morning like my does when I open up the gifts I receive. Thankfully, I have come across a few gift ideas that will be sure to keep my husband smiling on Christmas morning. 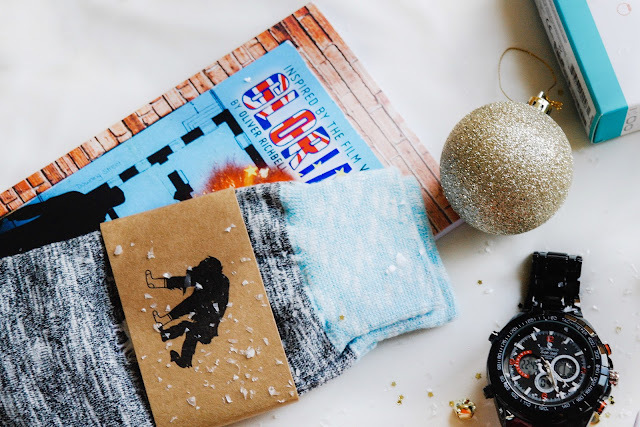 I like to try and find unique Christmas gifts; gifts that my family and close friends will find useful and perhaps things that they'd truly love but maybe wouldn't spend money on themselves. So with that we have a gift guide for you, yes another one, but you can never have too many choices when it comes to the men in your life. So before you click off, just have a peek at what we have come up with this year. Gadgets, let's face it guys love their gadgets! 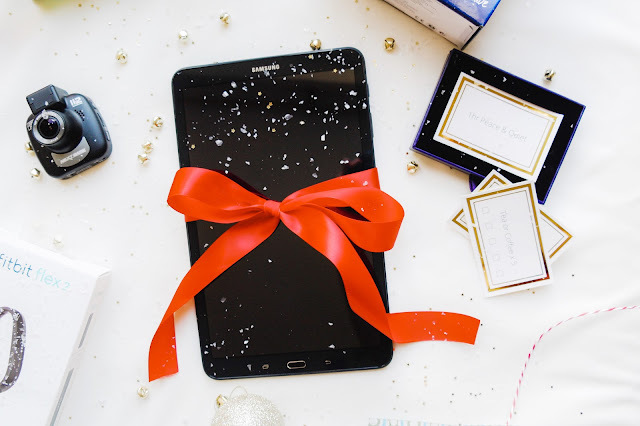 And this year a SAMSUNG Galaxy Tab A 10.1" Tablet is the way to kick off this gift guide. Designed for every day and everyone in your family, the Galaxy Tab A has a beautiful 10.1” screen, which is the ideal size for watching films, playing games and editing documents. Take your reading and browsing to the next level with the 4:3 aspect ratio screen that makes every page look great. 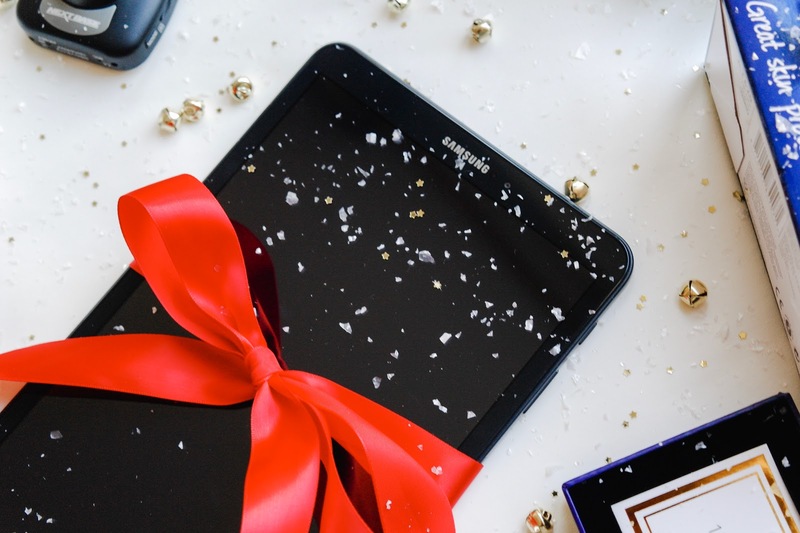 However despite the generous screen size, the Tab A is slim, light and easy to carry with you wherever you go. I must admit I wouldn't mind one of these for myself, even if I do have a laptop. It would make my life as a blogger so easy, as I could blog on the go. And this one has a great deal, so snap it up before they all go. As I said most men love gadgets, so this is sure to be a safe bet for sure. Nextbase, the leading provider of Dash Cams offer a great range of products that would be a great idea for any drivers in the family. Regardless of the popularity of Dash Cams as a gadget, the 112 model is affordable, effective, a great gift to buy any driver. The 112 is compact, easy to use, and records stunning 720p HD footage. It boasts a variety of features. The Four Element Sharp Lenses, made with four layers of glass, delivers clear images and the photo mode allows you to take still images for further evidence. It small and compact and can be easily stored snugly into your car. What's more, for Nextbase are offering up to 25% off all of their Dash Cams at the moment. My husband tries to keep fit and one thing that he is really interested in getting is a fitness tracker, he has a watch but finds it far too heavy, and not very practical when you're being active. This Fitbit Flex 2 Fitness Wristband is the perfect choice as it's super lightweight but he will be able to track steps, distance, calories burned, active minutes, hourly activity and stationary time. Automatically track activities like running, sports and aerobic workouts, then see exercise summaries in the Fitbit app. It will also let him know when he has calls and texts, Flex 2 vibrates and the discreet LED display flashes colour-coded lights. 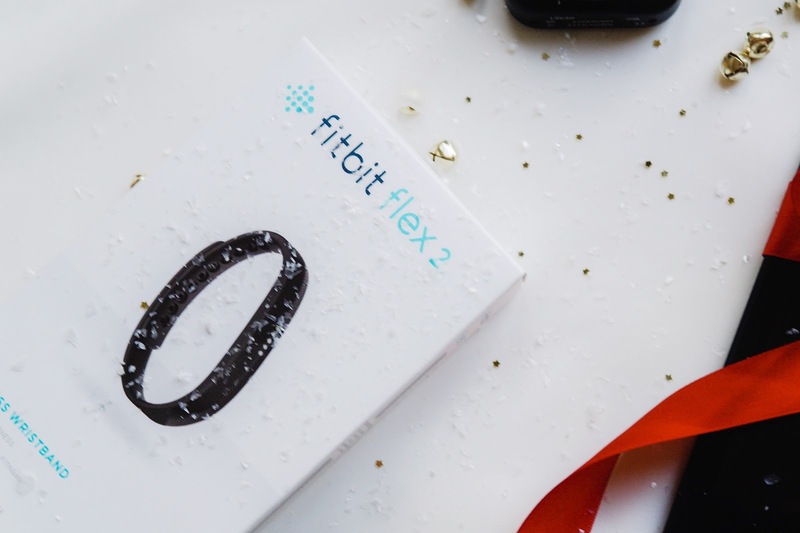 I also like the fact that the Fitbit flex 2 is the first swim-proof device from fitbit, meaning it is water resistant to 50 meters. For those days at the gym or at football this Ion8 Leak Proof Steel Vacuum Water Bottle in the colour Meadowlark will be the perfect companion. Whether you like your drinks ice cold or nice and warm, this insulated stainless steel water bottles are ideal for keeping liquids at a suitable drinking temperature for longer. The ThermoShield vacuumed design protects flavours and freshness, allowing you to enjoy a wide range of beverages while on the go. 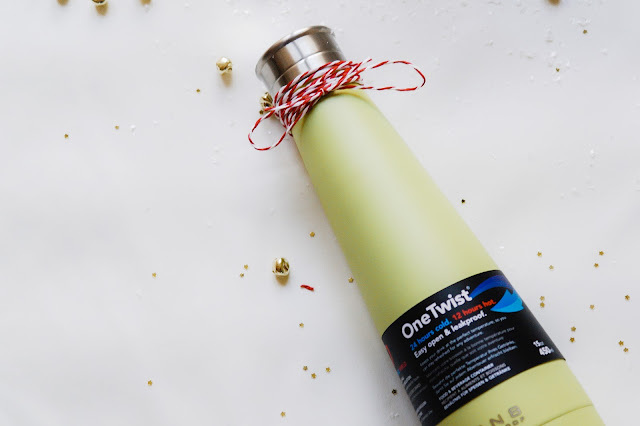 Simply open with one twist for access whenever you need it and lock back into place to avoid any accidental spills when you’re done. And with various colours and sizes available, you’re sure to find something that suits your lifestyle among our collection. 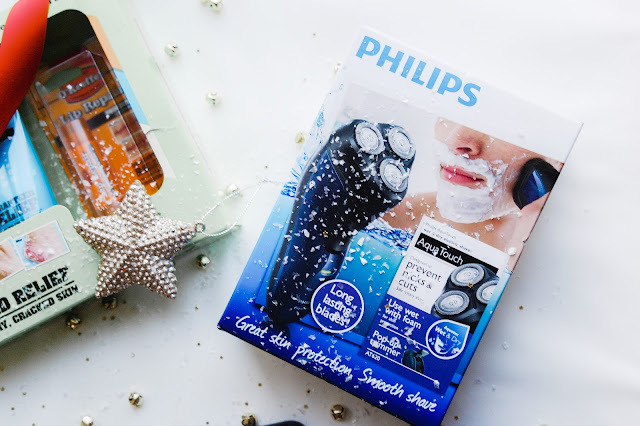 For those men who like to keep a clean sharp look this Phillips Aqua Touch. Get an easy, comfortable shave with the Series 3000 shaver. The Comfort Cut Blade System glides smoothly across the skin while protecting it from nicks and cuts. The 4-directional heads follow the contours the face giving a comfortable shave. 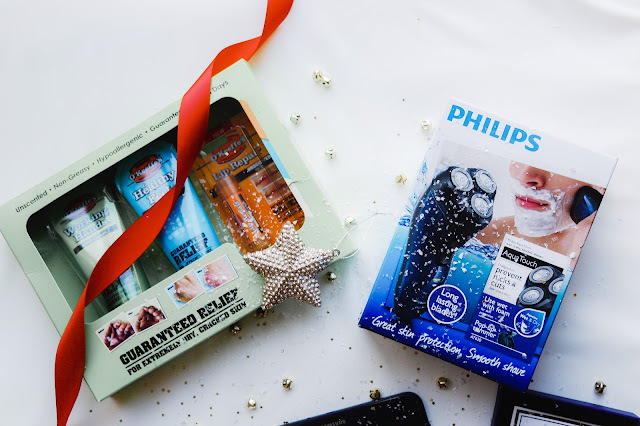 With Aquatec technology, the 3000 is waterproof so you can shave your way and choose whether you enjoy a comfortable dry shave or shave wet with gel or in the shower. I am sure that my husband isn't the only man that get boxes and boxes of toiletries and even though that's the case, I still like to get him a couple of bottles of aftershave. 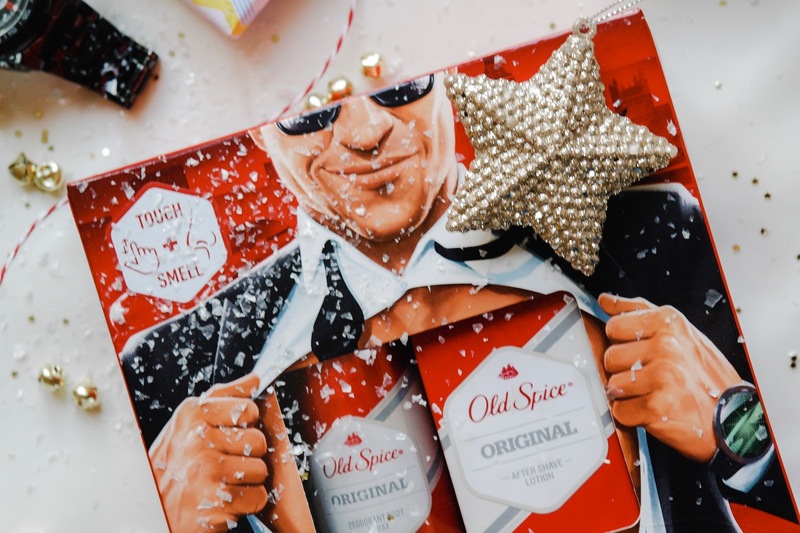 Now this is a gift that you can't go wrong with, so if you're looking for inspiration for a fragrance get him something that he hasn't tried before. Head over to the closest fragrance shop and enjoy a spritz or two. Both my husband and I had a rare morning together the other week and we headed into town for breakfast and we ended up in Debenhams and had a spritz off and ended smelling amazing. My husband loves Paca Rabanne. However my Dad he loves Old Spice and I picked up this lovely Old Spice Whitewater gift set for him that includes a deodorant spray and an aftershave. This O’Keeffe’s gift set would make a lovely gift for those who have working hands. My husband uses his hand as an engineer on a daily basis and he is always getting some kind of cuts and grazes. So this year I thought that I would look into getting something for his hands and came across this gift set. There are so many different gift sets available but I really like this one because it includes a tube of O’Keeffe’s Working Hands, O’Keeffe’s Healthy Feet and lastly some O’Keeffe’s Lip Repair a fairly new product that has only been released this year. When it comes to the men in our life we have to consider their personal style. 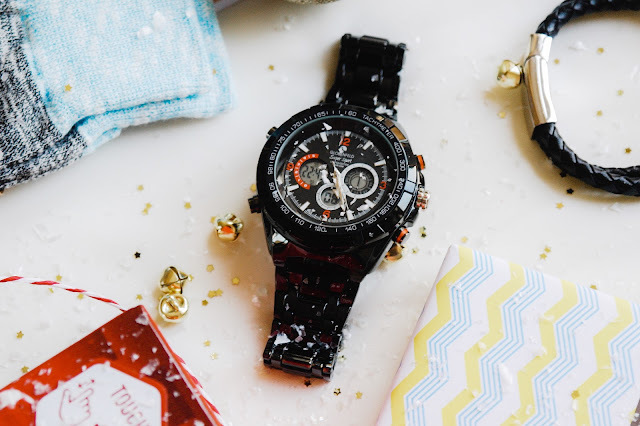 I adore this Globenfeld Super Sport Metal Men’s Watch they will most definitely stand out from the crowd and get noticed. Globenfeld have designed a Super Sport Series to improve on its overall toughness and masculine style. You’ll look and play the part in the boardroom, on the track, and everywhere in between. Now for something more personal and something that means more than a bottle of aftershave. My daughter and I wanted to surprise him with the very stylish Personalised Men's Dual Leather Bracelet, he has been asking one for a while, but we have never really got around to actually getting him one. With this dual cord of black woven leather, the bracelet measures approx. 21 x 1.2 cm and features two points of personalisation. Add initials to the left-hand side (up to 3 characters) and a name, date or short message on the right, up to a maximum of 20 characters. We decided to get his initial 'TDC' and then a little message from the both of us 'We love You x'. This bracelet has been designed to be a good length and style for a man, and the leather part is made from specially treated hard-wearing woven leather. It has a distinctive clasp as an extra stylish touch. A perfect gift for a bookworm would be this book Gloriana, inspired by the film Valkyrie. That is about a plot to assassinate the British Prime Minister. Will it succeed? Read it and find out, it is well worth it. It gains a quick pace up to the explosion with many twists and turns along the way leaving you completely hooked. This is just one of five short stories available in the Novella Nostalgia series and I will try and get a couple more to add to the collection. Last but not least. Chocolate! Yes I have saved the best until last. However, when it comes to chocolate at Christmas something a little special is always great to find under the tree and this is exactly what you get with indulgent chocolate like Doisy and Dam. I'm already in love with their toasted rice and pink salt one which is made in the UK and is vegan and gluten and soya free. It has a nice crunch to it from the toasted rice and the pink salt really sweetens the chocolate which makes it a lot nicer than normal dark chocolate. You can really taste the cocoa, so if you're a fan of dark chocolate you will love this one. Howvever with Doisy and Dam there are many flavours to choose from and types of chocolate so you'll be sure to find something. 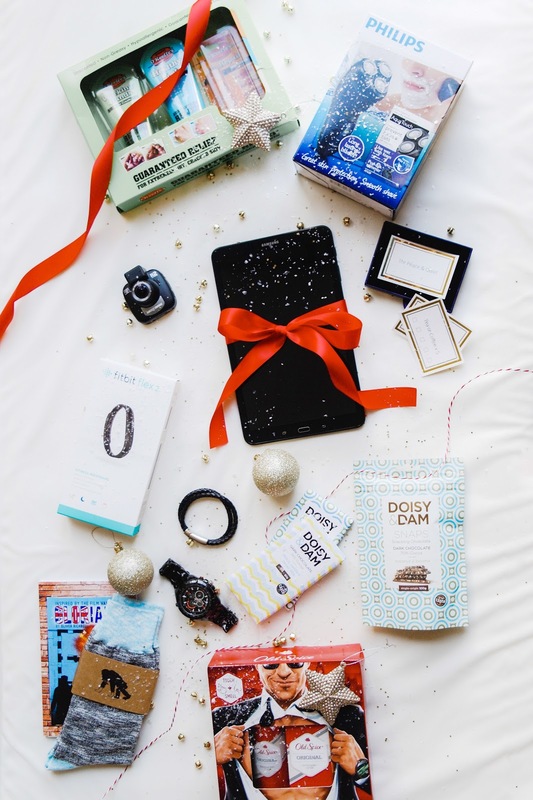 I really do hope that my gift guide inspires you, even a little. Some of the items feature in my gift guide for him have been sent to me for review, but as always my words are my own.